Discussion in 'Cageside - MMA Discussion' started by nuraknu, Aug 11, 2018. 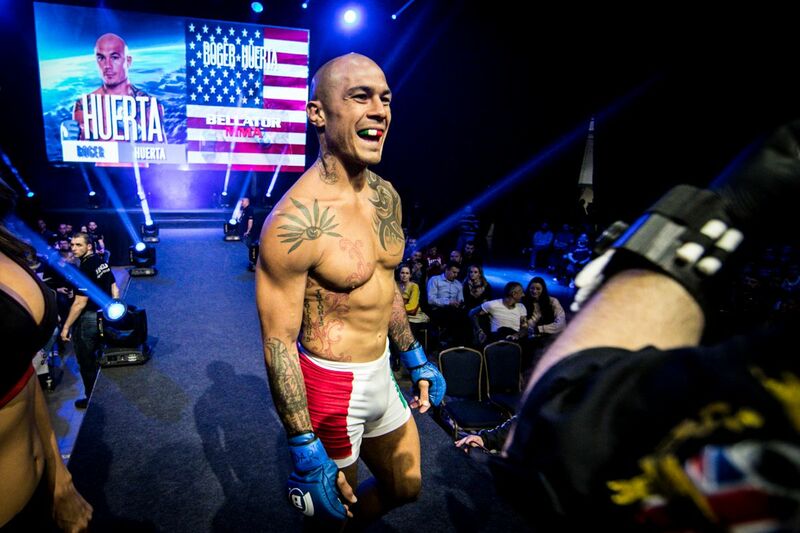 Roger Huerta certainly doesn’t seem to mind facing some of the best Bellator has to offer. Huerta, the longtime MMA veteran, will step in on short notice to fight Patricky Freire at Bellator 205 on Sept. 21 in Boise, Idaho, officials confirmed with MMA Fighting on Friday night. ESPN was the first to report the news and that Freire’s initial opponent, Goiti Yamauchi, withdrew due to injury. Kind of sad about this. I was looking forward to the original fight with Yamauchi. Hard to imagine any outcome other than 'Pitbull by KO'. In for the return of Michelle Lopez to the MMA scene. He's gonna get mauled, but props. Good for him, hope he doesn’t get braindamage too bad. Whatever happened to that incident when Huerta was the Knight In Shining Armour stomping on dude’s head? Huerta did NOT look bad his last outing against Henderson. If he's taking this on short'ish notice, and has to drop to 55, he might be taking this seriously. We might see old Roger make it interesting. Yamauchi was the fight though. At 35 I just don't think it's possible. This seems mutually beneficial at this point. He needs dough & another shot, they need a name. If it ends poorly for him, he might hang them up, as he should. He's a smart guy, and a dynamic personality. I hope for his & family's sake he's got other ventures lined up. That's the sport. The old get fed to the young. Hello and welcome to 2007. Ive always liked roger. Love his tattoo. No homo, but almost. He isnt a point player, he comes to finish you. I like that attitude. Hopefully Roger has a good training camp and does well in his fight. I think in some ways everyone wants to see him do well. He was once a fan favorite. That dude declined to pursue charges and it just went away.